Unless you have been living under a rock, you know that it is Girl Scout cookie season! 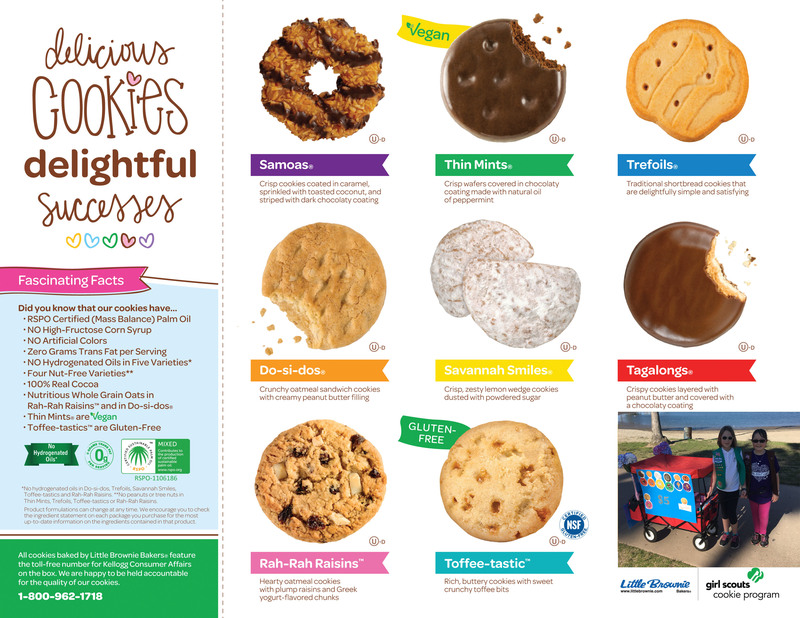 I know that you are probably feeling inundated with requests from cute little girls asking you to buy some Thin Mints or Savannah Smiles. We all appreciate your support of Girl Scouts nationwide. If you have not yet indulged and purchased you freezer stash of cookies or donated cash to send cookies to troops overseas, we’d like to ask for your support. This year, the Big One is trying to sell 650 boxes. Her typical goal is 525 to earn a free week of camp (something she has achieved for the last three years!). This year she upped her goal for the opportunity to spend the night at the San Diego Air and Space Museum. Now y’all know the Big One is going to be the first person to step foot on Mars. She will gladly share her plan with anyone who will listen! She wants to attend the Air Force Academy, earn her pilots’ wings and then apply to NASA, get accepted and trained, and then blast off to Mars when the Orion spacecraft is ready! She’s got it all worked out! If you’d like to help my future astronaut earn the opportunity to sleep overnight among some of the coolest aircraft around, please help us out! If you need cookies, we will gladly deliver in San Diego. If you are out of town, we have digital cookies, where you can order cookies online or make an online donation to Operation Thin Mint. Don’t know what Operation Thin Mint is? Well watch this video and the Big One will tell you all about it. We will also gladly accept any donations locally. Any questions, let us know! We have these eight varieties this year. Each box is $5 each. For Operation Thin Mint, we take cash donations of any amount! ← HELP, Someone Smarter Than Me!